Your search for the best tablet for photographers ends here. About a year ago we listed the top 8 tablets for photography that you could buy and take your photo editing to the next level. Over the last year, we have seen significant improvement in processing power that has filtered through to the tablet segment. The list of best tablet for photographers now looks a bit different to what it was before. A portable platform for editing your images on the go is a great addition to your overall photography gear. Maximize your Time when on the Go! Many times when flying or in between flights we have several hours to do absolutely nothing but give empty stares. This is probably the best time when you can edit or at least do some minor adjustments to your images. That basically keeps you in tune with your delivery schedule and frees up time to enjoy your travel on the side. It also takes away the pressure when you are back in your studio and have to edit everything in one go. If you have a portable platform you can make adjustments to your photos of the day when at the hotel or in the lounge. A tablet also has one more critical advantage: you can edit your images while they are still fresh in your mind. So things like the color balance or cropping the compositions, if necessary, can be done while they are still fresh in your mind. But what would be a good mobile editing platform? We are not talking about laptops here as they are not always the best choice when it comes to pure convenience. Tablets, with their significantly smaller bulk and weight, are far better choices than the traditional laptops. This article is dedicated to these smaller and yet powerful devices. 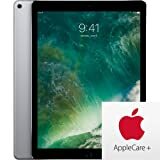 Introduced in 2018, the Apple 9.7″ iPad comes with a multi-touch retina display. The display resolution is 2048 x 1536 (264 ppi). But if the display resolution is what waters your mouth wait until you read what’s under the hood. 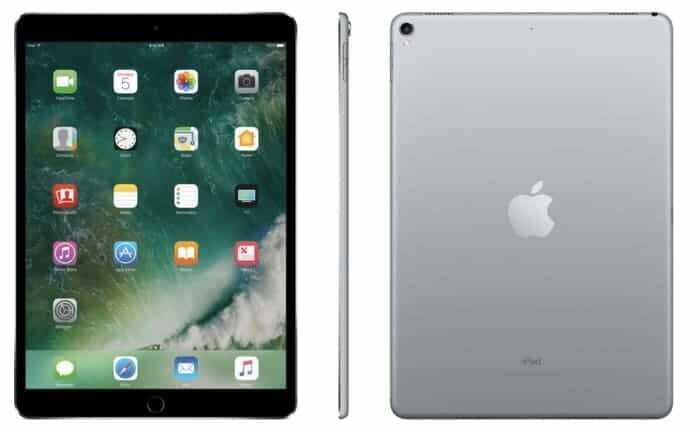 The 9.7″ iPad is powered by Apple’ A10 Fusion SoC (System on Chip) and a M10 Coprocessor. A system on a chip is basically an integrated system that incorporates all major components of a computer built on the chip itself. Traditionally, these systems consume low power. Apple’s A10 Fusion has a total of four cores. This is a system on a chip design and that means Two of these cores are high-performance cores. That’s 2 x 2.34 GHz of processing clock speed. The other two are less in performance and therefore preserve a low of power. That’s 2 x 1.1 GHz. It uses the Big.Little technology. This technology will automatically choose the right core for the task at hand. So, if you are browsing or checking emails the lesser powerful two of the four cores will be used. This will also preserve the battery and extend the usage time frame. When you are editing or playing games or doing anything that has a lot of power, the more powerful two of the four cores will be used. Additionally, this chip has a 64bit architecture supporting the iOS 11 architecture. Storage on the Apple 9.7″ is 128 GB. You won’t be able to add additional storage. There is no option to add an external flash memory card. While 128 GB does not sound like something to be overexcited about it I good enough for thousands of images and some videos. Yes, it won’t store a lot of videos, but if you shoot images on your travels, the space should be enough. Then again, the tablet comes with built-in Wi-Fi and Bluetooth 4.2. So you can always upload your images to the cloud over a Wi-Fi network in your hotel. The touchscreen is capacitive and supports the Apple pencil. The Li-ion polymer battery provides up to 10 hours of usage. That should be enough for that long flight across the Atlantic or across the world. you can comfortably edit a series of images, color correct in batches and even apply the basic retouching using the Apple pencil and stay ahead of your schedule. Needless to say one of the best tablets for photographers you can run your image editing applications. The major difference between the Apple 10.5″ iPad Pro and the 12.9″ iPad Pro is the size. The other significant difference being the overall resolution. 2732 x 2048 against 2224 x 1668 pixels. The smaller iPad does enjoy the same 264 ppi Retina Display that the larger iPad enjoys. Sans the bulk and the cumbersome size the smaller tablet is a much easier device to handle. Making it in the process one of the best tablets for photographers. The internal storage on the laptop is a hearty 512 GB. A higher storage means you can use the tablet as a portable storage device as you move around on a shoot or when traveling. The SSD storage is a safe custody for your precious photos and videos. The tablet is powered by an Apple A10X SoC processor with a M10 Coprocessor. The A10x is a variant of the A10 chip that was launched in the iPhone 7. This is a six-core chip. It has three high-performance cores which handle the resource hogging requirements. It also has three power-efficient cores, which are not as powerful but conserve a lot of power. Thanks to the six cores the 10.5″ iPad is capable of handling an incredible amount of multitasking as well as resource hogging tasks. So, you should be able to breeze through a tough task like a 4K video rendering without any noticeable lag time. The tablet comes preloaded with iOS 10 operating system. Together with the 64-bit processor the tablet is a portable powerhouse when it comes to editing or retouching your images on the go. The iPad 10.5 Pro also comes with multi-touch capabilities and a multi-input option. It accepts both touch and input via Apple Pencil, allowing you to edit your images with a lot more precise control. The A10X chip is a variation of the A10 original chip and uses the big.Little technology that distributes tasks to the ideal processors that are capable of handling them. Therefore it gives the right balance between performance and power. The iPad 10.5 comes with a built-in Li-polymer battery that gives approximately 9 hours of charge time. That should be enough for you to edit several images and even render a 4K video while on a flight or let you watch at least three full-length movies. The Apple 12.9″ is comparatively a larger device than the 9.7″ iPad or even the 10.5″ iPad which we discussed above. Compared to them this is unwieldy too. But mind you that even if the display is larger, it still retains the Retina display (264 ppi) which makes iPad and most other Apple devise a treat to use. When you are editing your photos you need this for the smooth detailing and the exceptionally good display quality. The device is powered by the Apple A10X 64-bit SoC (System on Chip) and is paired with a M10 Coprocessor. The chip consists of 6 cores which allow the system to choose the right core for the right task. Additionally, the GPU has a total of 12 cores. This iPad uses the big.Little technology as usual. This particular iPad comes with an internal storage of 64 GB. The device comes with both built-in Wi-Fi and Bluetooth 4.2. 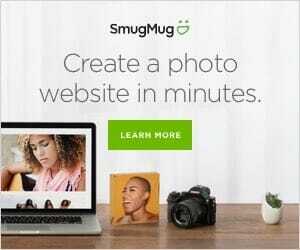 You would be able to not only connect this to an available Wi-Fi network (airport, hotel) and transfer your images to the cloud, you can also send out your favorite images to your phone, just in case you want to use any of the images as your wallpaper. You can always share your best images with the world directly from the iPad. The 12.9″ iPad supports multi-touch. There is a touch ID fingerprint sensor. an anti-reflective coating ensures that the iPad screen has decent usability even when working under bright lights. Plus, the iPad 12.9″ supports Apple pencil. 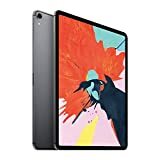 The fast 120 Hz refresh rate ensures when you use the Apple pencil (or even your fingers) to draw, there is very little lag time between when you slide your Apple Pencil across the surface of the iPad and when the drawings appear on the screen. The built-in Li-Polymer battery provides ample juice to last for up to 10 hours per full charge. All in all one of the best tablet for photographers you can buy. Microsoft’s Surface Pro is no doubt one of the best tablet for photographers. The Surface Pro 4 was a success and therefore the new Surface Pro had high hopes. The entry-level Surface Pro is not that powerful and is no match for the Apple iPads that we have discussed here. 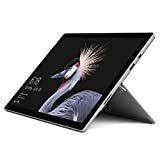 The premium range Surface Pro is the one that you should be looking at if you need a mobile platform to run photo editing applications. That is also the one we have discussed here. The Surface Pro is a hugely popular device. If for nothing else then the mixture of power and convenience that it brings to the table. The display on the Surface Pro is 2736 x 1824 which gives it a 267 ppi display. The Microsoft Surface Pro 12.3″ is powered by a 2.5 GHz Intel Core i7-7660U chip. This is a Dual-core system on chip design. Paired with it is an integrated IrisPlus Graphics 640 unit. There is a version of the Microsoft Surface Pro that comes powered with the Intel Core m3-7Y30 chip. The first one is way more powerful than the second. The cores in this one are clocked at between 2.5 – 3.8 GHz. There are four threads which take care of multitasking. The Microsoft Surface Pro has a 1 TB SSD storage unit. That should be more than enough to replace your desktop. Add to that the capable computing power of the tablet and you really have a mean machine in your hand. The tablet comes with built-in Wi-Fi and Bluetooth 4.0 connectivity. 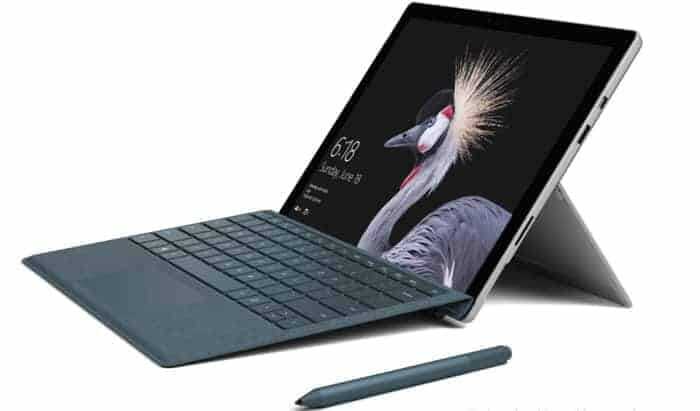 The Microsoft Surface Pro comes with a 12.3″ PixelSense 10-point Touch Display. The tablet is powered by a 4-Cell built-in Li-Ion battery that lasts for a maximum of 13.5 hours on a full charge. 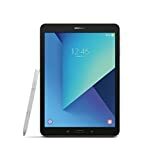 The Samsung Galaxy Tab S3 is a 9.7″ tablet with a Super AMOLED display and a resolution of 2048 x 1536 (QXGA). Pixel density is 264 ppi which is comparable with the Apple devices we have listed above. Additionally, this at the time of its launch was the only HDR-ready Android display in the market. Thus the Galaxy Tab S3 is a serious challenger for the crown of the best tablet for photographers. Under the hood, the Samsung Galaxy Tab S3 is powered by Qualcomm Snapdragon 820 chipset consisting of two 2.15 GHz and 16 GHz dual-core processors. Paired with it is an Adreno 530 GPU. Storage on the Galaxy Tab S3 is 32 GB (the version we are reviewing). Built-in Wi-Fi and Bluetooth 4.2 are the connectivity options on the Galaxy Tab S3. There is no NFC option on it. So, you will have to manually pair the device with any other compatible device. The touchscreen supports Samsung’s S Pen (included with the Galaxy Tab S3). The S Pen allows you to take care of finer creative urges. This is the bargaining chip for a tab that is pegged against the 9.7″ iPad. The S Pen does not need charging. The iPad 9.7″ incidentally, does not come with a stylus in the package. You have to shell out extra cash to obtain one. Also, when compared to the Apple Pencil the Samsung S Pen is four times more pressure sensitive. And to be fair to the apple, the Samsung does not have a keyboard packaged in the box. You have to pay extra to own one. Built-in Li-Ion battery provides enough juice to last for about 12 hours per full charge. While Apple products have been the standby digital tool for photographers, a serious flaw in the software developed late in 2017 that renders the iPad very problematic for photographers who try to organize and sync more than 2000 photos. Until fixed, this flaw is a dealbreaker for the iPad which renders it useless in any “real world” photography environment. Consequently, the iPad should not receive a recommendation from anyone trying to promote its use for photography. Agree, relying on iCloud for syncing and backing up your photos can be a risky affair. I understand that the iPad Pro is an excellent tablet, (I love my iPad) but the biggest flaw for me is a full version of photoshop cannot be put on the system; that is definitely a deal breaker for me.